Essential Diagram is an extensible and high-performance .NET Diagramming Framework for Windows Applications. It can be used for developing Microsoft Visio-like interactive graphics and diagramming applications. It stores graphical objects in a node graph and renders those objects onto the screen. Essential Diagram supports both vector and raster graphics on the drawing surface. Essential Diagram lets users create interactive diagrams easily using the Diagram Builder utility included with the Diagram. It explicitly lays out diagram objects, or allows our built-in layout managers to handle the job, making complex layout diagrams a snap. Using the Symbol Designer utility, you can create domain or business specific symbols by using custom shapes and images. Some of the key features of Essential Diagram are listed below. Essential Diagram supports Matrix Transformations likeTranslate (Move), Rotate and Scale. Shape nodes are the graphical objects that can be drawn on the diagram area by activating one of several drawing tools such as the RectangleTool, RoundRectTool, EllipseTool, LineTool, PolylineTool, OrthogonalLineTool, BezierTool, CurveTool, ArcTool and PolygonTool. DecoratorShape can be added at the head and tail of Connectors. The shapes include arrows, circles, diamonds, crosses, squares and custom decorators. Essential Diagram supports rendering TextNodes and RichTextNodes, and offers full text formatting through sufficient properties. Text editing and text rotation are also supported. Zooming, scrolling, and panning are supported and can be achieved using sufficient interactive diagram tools. Automatic Line Routing and Line Bridging: while a link is drawn between two nodes and if any other node is found in between them, the line will be automatically re-routed around those nodes. The PrintDialog class enables the user to set the printer to be used, and allows to define the pages and the number of copies to be printed. The PrintPreviewDialog class provides an overview of how the document will appear when printed, which is invoked using the ShowDialog method. Overview - This section gives a brief introduction to our product and its key features. Installation and Deployment - This section elaborates on the install location of the samples, license etc. What’s New - This section lists the new features implemented for every release. Getting Started - This section guides you on getting started with Windows application, controls etc. Concepts and Features - The features of Essential Diagram are illustrated with use case scenarios, code examples and screen shots under this section. 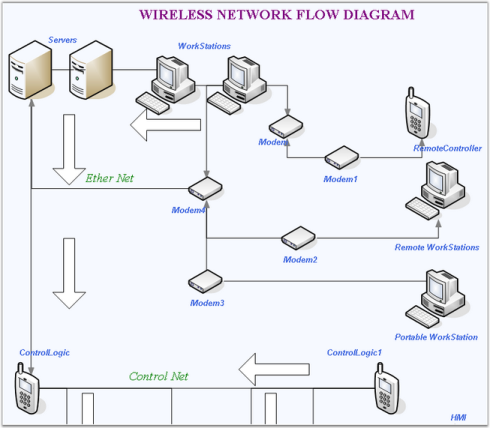 This section covers the requirements mandatory for using Essential Diagram control. It also lists operating systems and browsers compatible with the product. Syncfusion provides the following documentation segments to provide all necessary information for using Essential Diagram control in Windows application in an efficient manner. in the second text box, and then click the Class Reference link found in the upper right section of the page. )Installed DocumentationDashboard -> Documentation -> Installed Documentation.